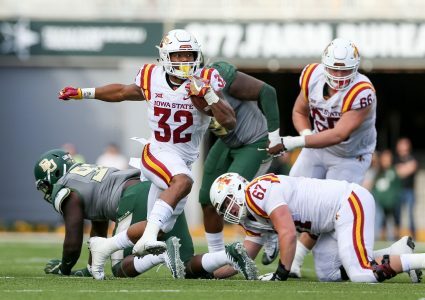 Former Iowa State stars Hakeem Butler and David Montgomery will have an opportunity to showcase their talents alongside the NFL’s top prospects. Both players have been invited to the 2019 NFL Draft Combine in Indianapolis from Feb. 26 to March 4. Butler, who caught 60 passes for a school-record 1,318 yards plus nine touchdowns in 2018, is currently projected to be an early second-round pick by USA Today. He is tabbed as the No. 36 pick to the San Francisco 49ers in the publication’s most recent seven-round NFL Mock Draft. 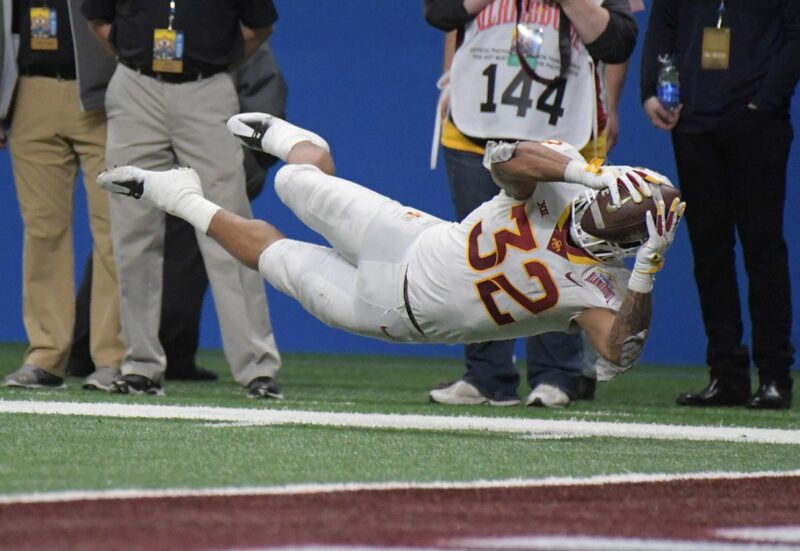 Butler finished his career in Ames with 110 catches for 2,149 yards and 18 touchdowns in three seasons. His 19.5 yards per catch average in his career ranks as the third-best average in Big 12 history. As for Montgomery, who ran for 1,000-plus yards in back-to-back seasons, is considered a mid-second-round pick by USA Today going No. 53 to the Philadelphia Eagles. 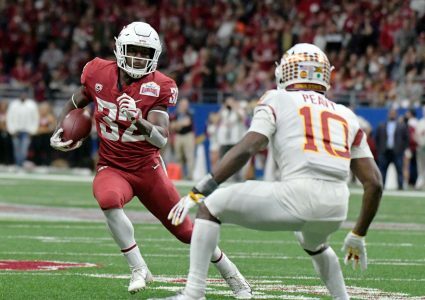 He will likely be one of the first running backs off the board in April’s draft. 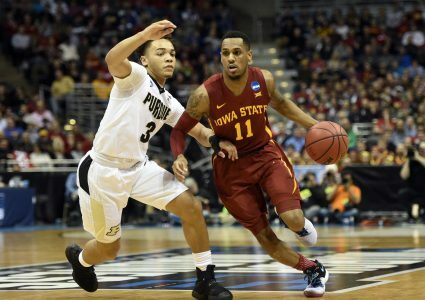 A second-round selection for either player would make them the highest-drafted Cyclone since Kelechi Osemele in 2012. They would be the first skill position player selected since Seneca Wallace was taken in the fourth round of the 2003 draft. Iowa State has not had a first-round pick since 1973 when George Amundson was taken by the Houston Oilers.